Believe it or not, Memorial Day is almost here, and with it comes the need to polish your Rolodex of barbecue go-tos. Barbecue recipes are more versatile than you may give them credit for. 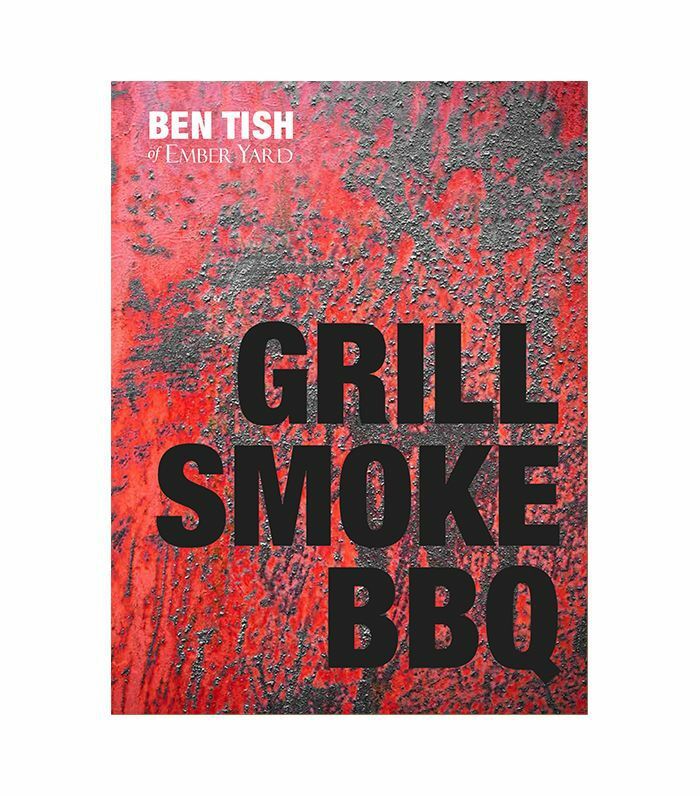 Everything from breakfast to dessert can be cooked up on the grill, something we learned from chef Ben Tish's new cookbook, Grill Smoke BBQ. These recipes find middle ground between satisfying, hearty dishes and elevated plates that serve up a nuanced range of spices and flavors. Tish lays out a variety of dishes that are sure to impress guests while bringing an approachability to the plate that's synonymous with barbecuing. Here, we picked a few of our favorite highlights. Keep reading for five of the best barbecue recipes you should master this summer, courtesy of Ben Tish. Light and set the barbecue for direct/indirect cooking. Place a medium-sized ovenproof frying pan or flameproof casserole on the grill in the direct heat zone. Add a lug of olive oil and cook the onion and garlic, without colouring, for three to four minutes. If the pan gets too hot, move it off the direct heat zone to control the temperature. Next add the pepper and chorizo and cook for three to four minutes until the chorizo has softened and released its paprika-rich juices. Add the tomatoes and move the pan to the indirect heat zone. Close the lid and cook slowly (the temperature inside the barbecue should be about 400ºF) for about 30 to 35 minutes, stirring occasionally, until reduced and thickened. Spread the nduja on the pizzette bases, leaving a small border around the edges, then sprinkle over the pecorino and top with the fennel. Season and cook in the indirect heat zone with the lid closed for 8 minutes until the cheese has melted and the fennel is lightly cooked. Drizzle with extra virgin olive oil and sprinkle over any fronds from the fennel bulb before serving. You’ll also need a lump of oak or beech wood. Recipe makes 10. Whisk the yeast into the lukewarm water to dissolve. In another bowl, combine the flours, salt, sugar and olive oil, then gradually stir in the yeast mixture until the dough starts to come together. On a floured surface, knead with your hands until you have a fairly smooth, elastic dough, then return the dough to the bowl, cover with a damp clean cloth and leave in a warm place for 30 minutes, or until doubled in size. Evenly divide the dough into 10 balls, then roll out on a lightly floured surface to form small pizzette. First make the pancake batter. Stir together the flours, bicarbonate of soda and salt, then add the melted butter. Lightly whisk in the buttermilk, leaving the batter slightly lumpy. Set aside to rest for 20 minutes before cooking. Light the barbecue and set for direct/indirect cooking. Place a medium non-stick frying pan in the direct heat zone and, when it is hot, add a ladleful of the pancake batter—it will be quite thick, so you’ll need to spread the batter around the pan with a spoon or spatula. Cook for two minutes until set, then turn and cook for two minutes on the other side. Transfer the cooked pancake to the indirect heat zone to keep warm while you make the rest. You’ll also need a lump of oak hardwood and some oak wood chips. Light the barbecue and set for direct/indirect cooking. Place the wood to the side of the charcoal to start smoking. Cut the squash in half lengthwise, scoop out the seeds and then score the flesh in a criss-cross pattern with a sharp knife, being careful not to cut right through. Season with salt and pepper and place on the grill in the indirect heat zone. Close the lid and the vent and cook for about one and a half hours (the temperature inside the barbecue should be 350ºF), throwing a handful of oak chips onto the charcoal halfway through the cooking time. When the squash is nearly done, put the grapes, sugar, wine and vinegar into a small saucepan. Open the lid of the barbecue, place the pan in the direct heat zone and bring to the boil, then move into the indirect heat zone and simmer for 20 minutes until the grapes have a jammy, syrupy consistency. You’ll also need a paella pan or large ovenproof frying pan and some oak, apple, or birch wood chips. Light the barbecue and set for direct cooking. Set your paella pan in the direct heat zone of the barbecue and add a lug of olive oil. Throw in the chorizo and cook for two minutes, stirring briskly, to release its paprika-infused juices. Add the chicken or rabbit and brown on each side before adding the onion, garlic, peppers, and chilli. Cook for five to six minutes, stirring as you go, until everything has softened but not colored. Now add the paprika, rice, and saffron, and stir everything together well. Season with salt and pepper, then stir in the wine, sherry, stock, and tomatoes and leave to cook for 12 minutes without stirring. The idea with paella is that you let the rice in contact with the base and sides of the pan lightly caramelize—unlike a risotto. Recipes excerpted with permission from Grill Smoke BBQ by Ben Tish. Up next, explore 10 out-of-the-box grill recipes that are game changers for summer.